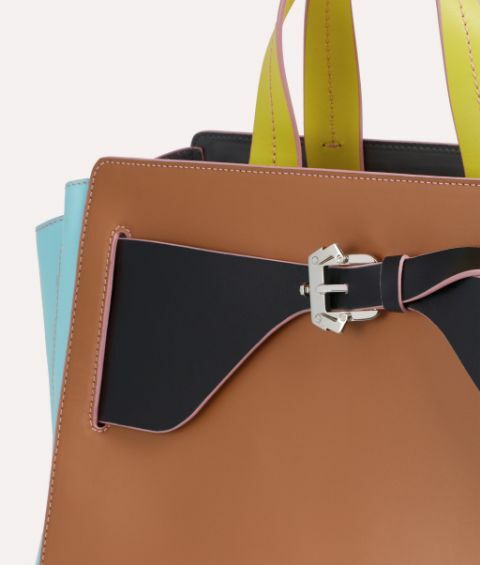 The Dede Sunset bag is a glorious study in careful craftsmanship. 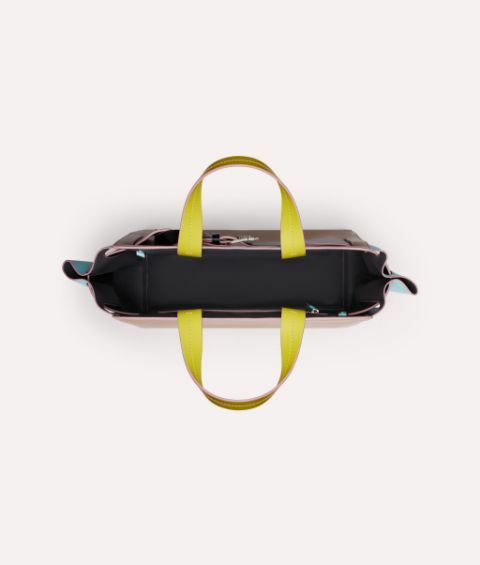 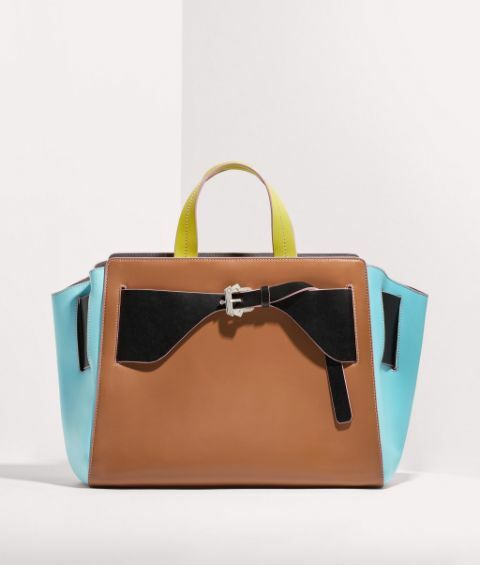 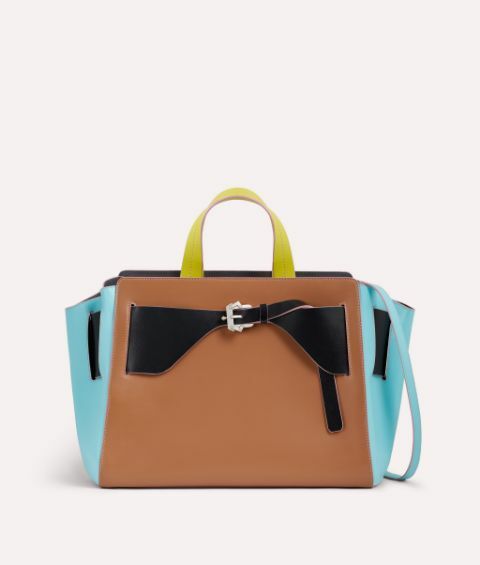 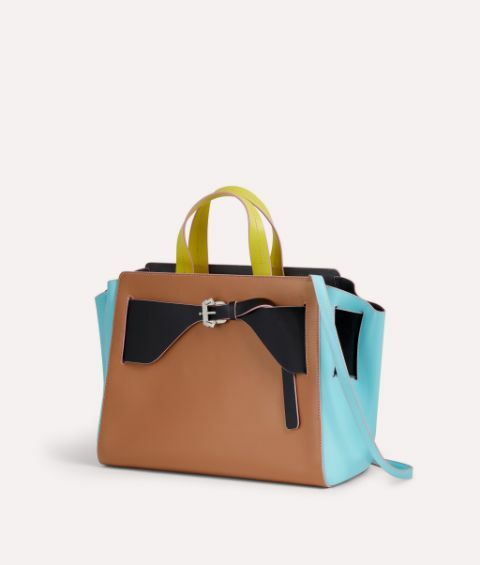 Supple calf leather is formed into a structured silhouette that exudes sophistication, whilst the vibrant panels of blue, yellow, brown and black with blush pink edging add a bold infusion of colour. 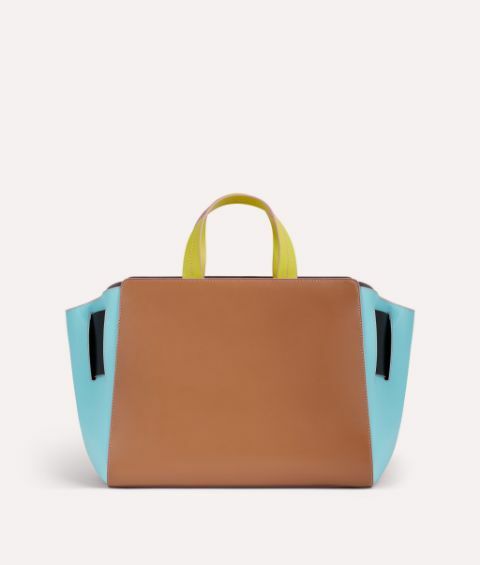 Wears yours as a tote with the round handles, or cross body for a more laidback feel.